Phil's Forum for Independent Retailer Success: It's Good for Morale, Too! Do you have a way for your customers to tell you what they think? Most of them won't say it to your face. Only a small handful will pick up the phone and call. A few will post it on Facebook. But wouldn't it be better to capture their joy and excitement of visiting your store at the moment it happens? One of the benefits most people miss is that when a customer takes the time to write something down, it helps her brain store that thought more permanently. Therefore, she will think more highly of you just from the simple act of writing it down, and she will be more likely to sing your praises to others because the memory is so much stronger. Plus, your staff gets a big boost when they read the flowery praises you are most likely to get. It reinforces all you have been teaching them about the power of WOW Customer Service. It gets them fired up to continue raising the bar. 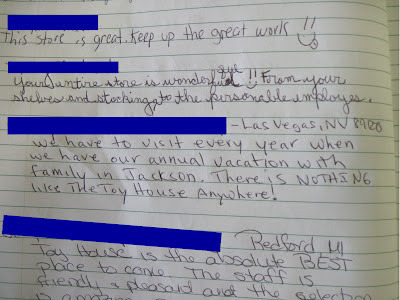 My staff will sometimes call me out of the office just to read what another customer wrote. 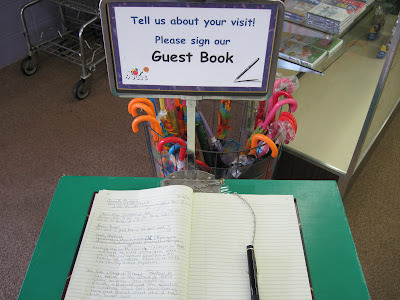 Set up a Guest Book in your store. 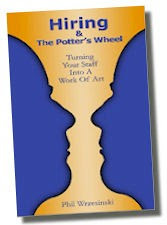 See how it increase both your word-of-mouth referrals and the morale of your staff. PS And those aren't even the best things said about us in our book!